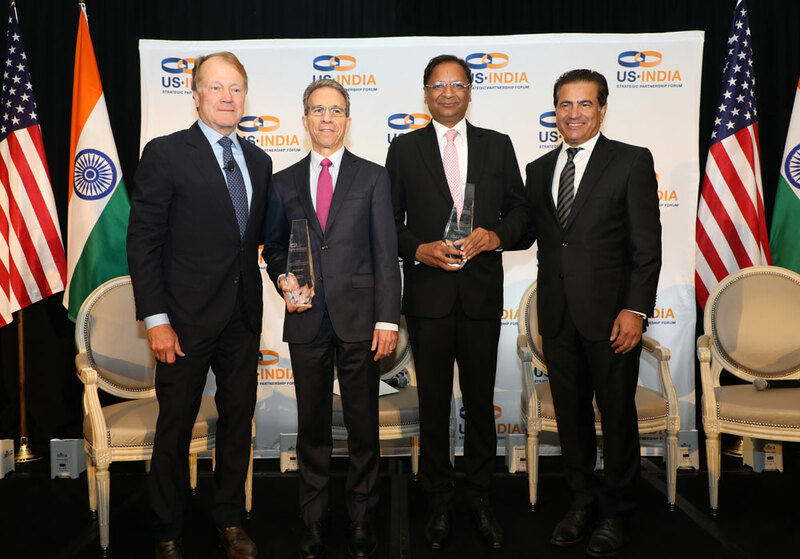 Gurugram: The U.S.-India Strategic Partnership Forum (USISPF), in its first ever Annual Leadership Summit, awarded Ajay Singh, Chairman & Managing Director, SpiceJet, with the USISPF Leadership Award on July 12 in Washington, D.C.. The award, established by the Forum, is to commend excellence in transformative leadership and public service, along with the leaders’ role in expanding trade and collaboration between the U.S. and India. Under the leadership of Mr. Singh, SpiceJet placed an order for up to 205 narrow and wide bodied aircraft – one of the largest orders for new airplanes in Boeing’s history. SpiceJet was lauded by US President Donald J. Trump for this aircraft order and helping create tens of thousands of jobs in the United States. SpiceJet followed up the Boeing order with an order for 50 Bombardier Q400 planes --- the single biggest order for the Q400 in Bombardier’s history. Some of the key speakers from India who attended the summit were NavtejSarna, Ambassador of India to the United States and Rajiv Kumar, Vice-Chairman of NitiAayog. Representative from the USA included Senator Rob Portman (R-OH); USDA Under Secretary for Trade and Foreign Agricultural Affairs, Ted McKinney; Jeffrey Gerrish, Deputy U.S. Trade Representative; and Senator Mark Warner (D-VA), Co-Chair of the Senate India Caucus among others.